Since the announcement from OLGR regarding the approval of TITO (Ticket-in Ticket-out) in Queensland, many clubs and hotels have been speculating on which method is best for them. With the rising contention between the pros and cons of TITO vs Card Based Cashless gaming (CBC), venues face a point of no return where the wrong decision could be perilous. There are a number of venues now operating Card Based Cashless Gaming and, with the first installation of TITO happening recently in Queensland, it will be interesting to see which path venues choose. While both systems have the ability to increase the entertainment experience for the player and streamline operations, if they are not managed or implemented correctly both systems can deter customers and affect revenue. We have seen venues over the past few months operating Card Based Cashless Gaming with incredible success reporting increased card usage (player turnover as a percentage of venue turnover) that is also aligned with the use of the cashless component. While the investment to install this system is considered relatively low, the amount of staff training and marketing costs is quite high, yet is essential to its success. 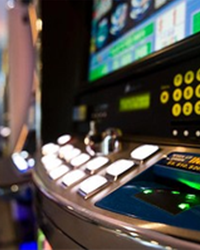 While TITO has been recently installed under a trial into a few venues, it may be too early to make predictions considering the small number of gaming machines involved, however there is no doubt the player experience will be enhanced with the ease of the system. What is the lifespan of each system? What are the capital costs? What resources are required to launch? What do your members want? Is your current product supported? DWS were recently engaged by a large number of venues to review both systems providing advice on implementation and historical lessons learnt from other jurisdictions. To find out which system is best for your venue, contact Danny Nixon Smith on 07 3878 9355 or email danny.ns@dws.net.au for a confidential discussion on the direction of your venue’s gaming services.